Evansville, also known as Eville, is home to over 100,000 residents. 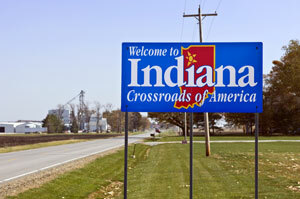 Being the cultural and economic center of Indiana, there are numerous effective advertising opportunities throughout the city. One notable high traffic venue perfect for indoor billboards or other digital signage advertising is the Ford Center. Target your audience with out-of-home advertisements near attractions like the Mesker Park Zoo or the Evansville Museums of the Arts, History and Science. The major highways servicing Evansville also provides billboard possibilities. Billboards on I-64 or I-164 would generate exposure of your business.